There is money when you create a list on a specific topic. This may be a striking but there is truth behind this. Do you love writing? 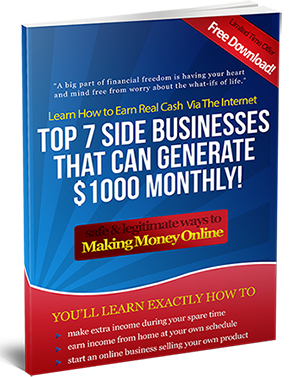 Are you hoping that one day, you can make big money out of what you love the most? It is true that the satisfaction you will feel when doing the things you love is way different from the things that you don’t enjoy that much. One way that you could earn money through writing is writing a list. All you need to do is to create a list of hard to find topics, from there you can create an eBook that will serve as your product for you subscribers. This is actually one great product that your subscribers would want to have. In this case, you can be the most reliable person since you love what you are doing. And probably, it wouldn’t be that hard for you to promote such product because there are a lot of good things that you could say. Thus, you will be able to gain the trust of your subscribers. Before anything else, let us try to focus on one product that you would want to consider. The first thing that you should do is to choose a topic that you are comfortable with. It should be something that you will be able to say a lot. It should be something that you are knowledgeable of. It may be something related to your career or something that you have studied in the past. This will help you to say and offer a lot of information as possible. However, you have to look at the internet whether your topic is available online already or not. If it does already exist then better not considers it if you think there are a lot of things that you could impart then do so. The next thing that you should do is to create a spreadsheet for you data. You will have to place all the information you have on the piece. You will have to search online as well on what are the things that you can add up. After filling up all of the needed data, you should start converting it into a readable format. To start doing your very own eBook, you need to start with a cover page with an interesting title that will surely catch the attention of the readers. You should include an image that will contribute to the total package of the book. You should know that this is the part where your subscriber would either get your book or not. We could not stop people from judging the totality of your book with the cover alone. Your book should contain an introduction that will serve as a good teaser about the book. This part should excite your readers to read further. You have to put a good set of table of contents as well. Then right each chapter in a manner that they would want to go on to the next page as fast as they could. That even those who are not fond of reading would still love to go on. Your book should be something that is easy to understand. If this will be your product then rest assures that you will really gain a lot of subscribers and your list will surely grow in numbers. Thus, generating huge sales on your part.